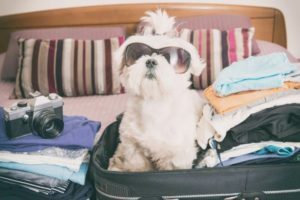 However, last month, the Government issued a paper preparing for a possible No Deal Brexit, in which it advised pet owners wanting to go abroad after March 30 that they have to take their pets to an OV at least four months before travelling – meaning the end of November deadline is fast approaching. Rachael McGregor, clinical director at Calder Vets, said: “The turnaround for organising microchipping, vaccinations and a pet passport has always been relatively short but the Government has now warned that, with no EU deal, pet owners may have to visit their OV as early as the end of next month for an April trip abroad. Please contact us if you need any help or advice on pet passports.